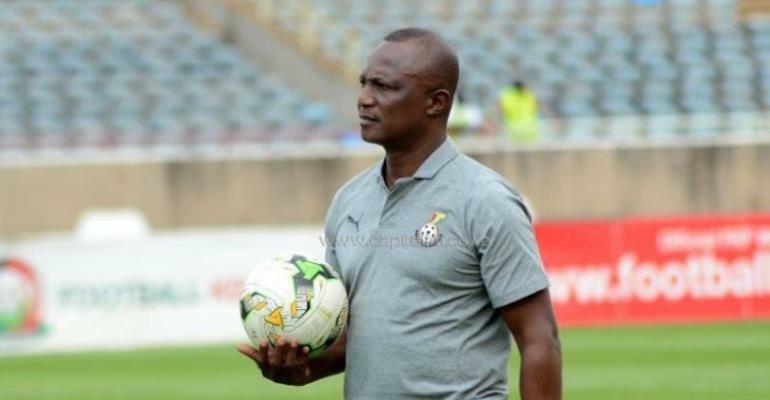 Coach Kwesi Appiah says he is determined to finish the Africa Cup of Nations qualifiers on a high note as he prepares seriously ahead of the game against Kenya. Ghana, who have already book a place in Egypt will engage the Harambee Stars at the Accra Sports Stadium in the final Group F game. The Black Stars were beaten 1:0 in the first leg in Kasarani in the first leg. Captain Asamoah Gyan, Afriyie Acquah, Harrison Afful and Jonathan Mensah were all excluded from Kwesi Appiah’s 24-man squad for the Kenyan clash. However, Kwesi Appiah has handed opportunities to the five debutants namely Ernest Asante, Caleb Ekuban, Joseph Aidoo, Amos Frimpong and Kwame. Ahead of the game, the former Al Khartoum manager says they will approach with all seriousness and wants to use it to assess his players before the Cup of Nations tournament in Egypt. “It is an important game like any other game. Kenya is a good team and this is my last call-up so it is important we try to get a win,” he told the Press. “You know this is my last call-up before the AFCON so is important to use the game to look at some of the players. The team will continue their preparation today at the Accra Sports Stadium.